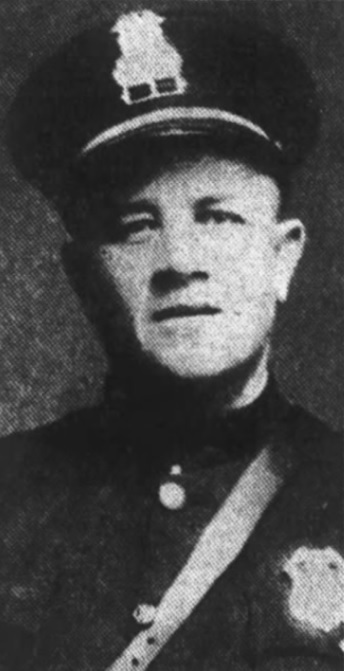 Officer Thomas Reese was shot and killed with his own service weapon on Davenport Street near West Main Street while walking an assault suspect to the police station. The suspect had been involved in a fist fight with several people at a local restaurant on West Main Street. The suspect returned to the restaurant after retrieving a tire iron from his vehicle and started to pursue one of the men who was involved in the fight. Officer Reese was notified of the fight and caught the suspect on West Shawnee Avenue and Davenport Street. As Officer Reese started to walk the suspect to the Police Station a struggle ensued and the subject gained control of Officer Reese service weapon and shot him in the head. The suspect was arrest shortly after the shooting. The suspect was convicted of his murder and sentenced to 10 to 20 years in prison. Officer Reese served with the Plymouth Borough Police Department for 10 years and was survived by his wife, and three children.